The Expanse behind the scenes documentary. Editor’s Note: The author of this post has been financially compensated for promoting this show. This post is not related to that compensation, but the author’s financial relationship to the show still presents a conflict of interest that violates Slate’s ethical standards. We do not allow our writers to be paid to promote products that they will later cover. Slate regrets the error. We have updated the original headline of the post, but the rest of it stands below. *Full disclosure: I want to be fully up front with y’all here: The senior vice president of communications at USA and Syfy is a friend of mine (from long before she was with the network). I also know the authors of The Expanse book series (I was on a panel at Phoenix Comicon with Ty Franck, and moderated a panel with him and showrunner Naren Shankar at Gallifrey 1). Finally, I was part of a paid promotional campaign for The Expanse on social media (see here and here). That campaign absolutely does not extend to this blog, where I am free (and quite apt) to praise or condemn whatever I want. Having said that, I only agreed to promote the show because holy cow, it really is that great. You need to watch this show. Regular readers know how big a scifi nerd I am. Star Trek, Doctor Who, 12 Monkeys… I love science fiction that tells big, grand stories. 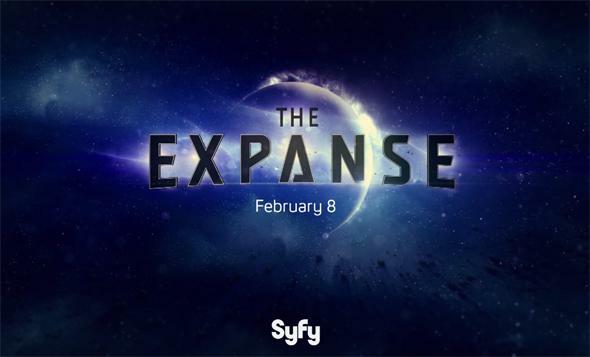 Right now, one of the best scifi shows on TV —heck, one of the best shows on TV— is The Expanse on Syfy*. Set about 200 years in the future, it’s about the people and fragile politics between Earth, Mars, and the people who live in the asteroid belt. Belters mine the asteroids for water for Earth and Mars, but live much like slaves. Mars and Earth have no love for each other, and things are … tense. Throw into the mix a mysterious and incredibly advanced bioweapon, and things get difficult indeed. The first season is simply stunning. The writing, acting, special effects and more all come together to make a superior show. I wrote about the first season last year, and now with the second season coming, Syfy put together a short intro to the show that goes behind the scenes to reveal how it’s all done, and to familiarize you with the concept. It’s hosted by My Close Personal Friend Adam Savage™, and you might recognize another face in it as well. I love this show, so I was excited when they asked me to be in the documentary. What I said is true: The way they stick to real science as much as they can in the show is amazing, accurately depicting how things would work in space. There are some shortcuts taken, like sounds in space because it adds drama, but the physics of gunfire, spaceship travel, and more are depicted with faithful accuracy. It makes my nerd heart sing. And if that’s not enough, Adam also did a 360° virtual tour of the set of the Rocinante, and interviewed Daniel Abraham and Ty Franck, the authors of the book series on which the show is based. I highly recommend the books, too. They’re a great read. I am really fired up for the second season. It premiers Feb. 1st, 2017. Watch it, and help keep really solid TV alive.